Petrie, W. M. Flinders 1886. Naukratis I: 1884-5. Memoir of the Egypt Exploration Fund 3. London: Trübner & Co.
Spencer, A. J. 2011. The Egyptian temple and settlement at Naukratis. British Museum Studies in Ancient Egypt and Sudan 17, 31-43. Thomas, Ross I. and Alexandra Villing 2013. 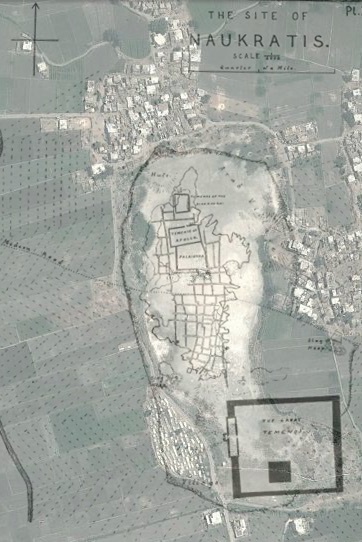 Naukratis revisited 2012: integrating new fieldwork and old research. British Museum Studies in Ancient Egypt and Sudan 20, 81-125.